Pocket slide gauge from forum. 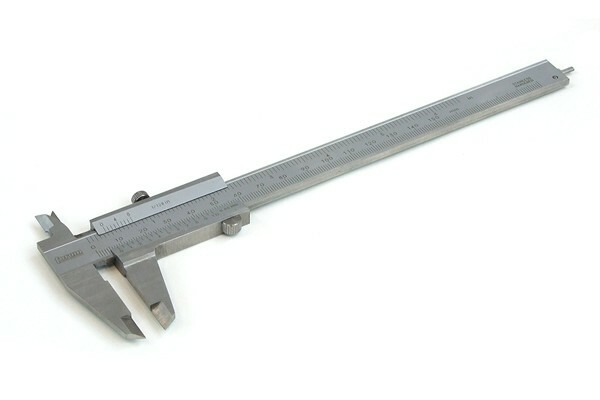 This compact slide gauge is a German brand-name product. It is made from hardened stainless steel, the Main scale and Nonius are matte and chrome coated. The gauge is equipped with a fixation screw on the upper side. The rear features a thread table with round depth scale. 4 measurements are possible: Inner-, outer-, depth and step measurements. Error margin according to DIN 862, artificial leather pouch included.